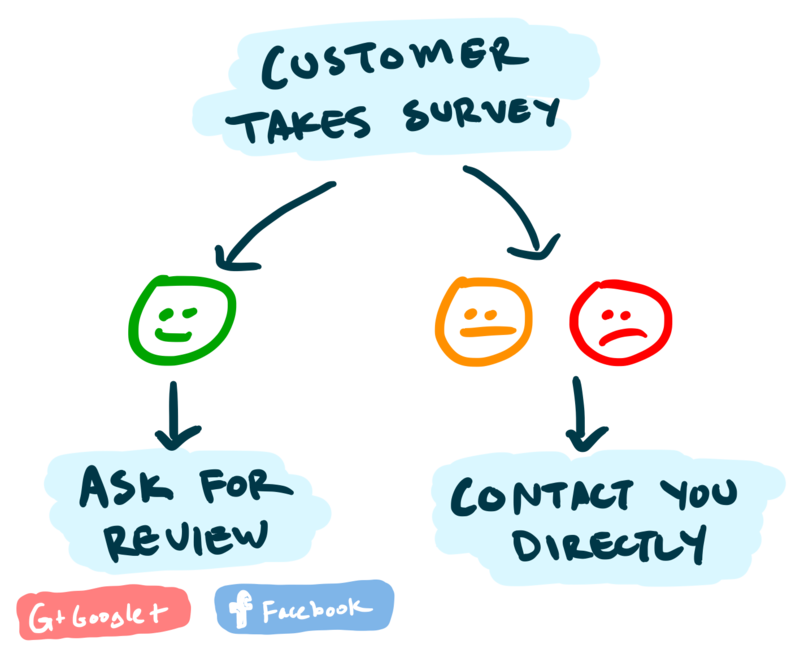 You can now automate the process of asking your customers to leave a positive review on Google+, Facebook or any other page you have on the web. After your customers provide feedback, they're sent to a thank you page. You can customize the content on this page based on the rating, and also include buttons linking to Google+, Facebook or any other website you choose. Customers who leave positive reviews are shown the review site buttons. Customers who leave neutral or negative reviews can be directed back to a page on your website to contact you directly. It's all up to you. We'd love for you to try it out and let us know your early feedback. Automate online reviews like a BOSS! Customer leaderboard on your dashboard home improved and renamed to "At Risk Customers"
Which features would you love to have? Please let me know, I'm all ears and would be delighted to work with you.